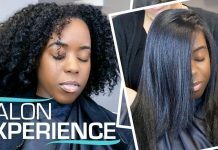 Blow Dry 4c Natural Hair –Tension Method Vs Comb Method with Conair Infiniti Pro . Conair has a blow dryer that is suppose to give dry, shiny, and flat ironed results. 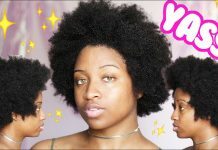 On my 4c natural hair we will see how well it does. This blow dryer has a argan oil strip that really takes it to another level. 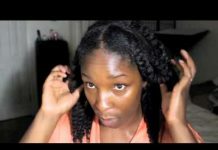 Also ceramic plates in the comb thats suppose to give flat iron results well did it give me that, click play and see. Leave Your Answer: How often do you blow dry your hair?